The employer is required to demonstrate that the position is genuine. The employer needs to clearly demonstrate why there is a genuine need for that position in their business. What the ENS and RSMS visas lets you do? 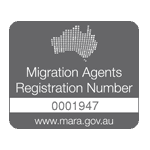 Apply for Australian citizenship, when eligible.